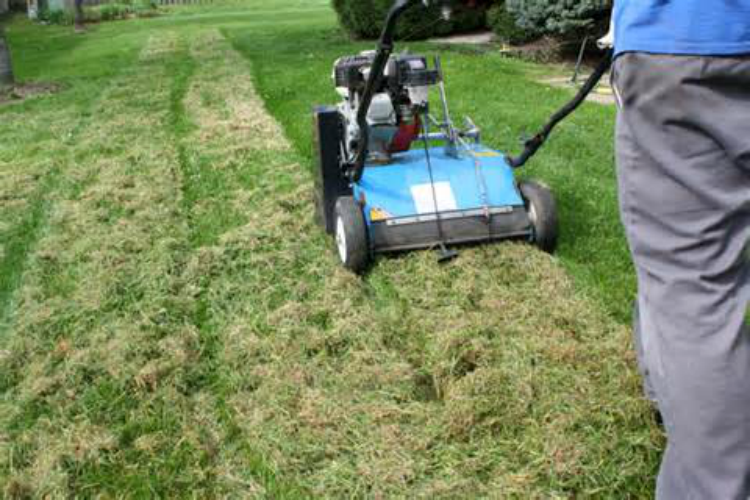 Professional Weekly lawn service includes, mowing, line trimming, blowing off surfaces. Starting at only $30 a week. Contact us now! Aeration is an important part of your lawns health. 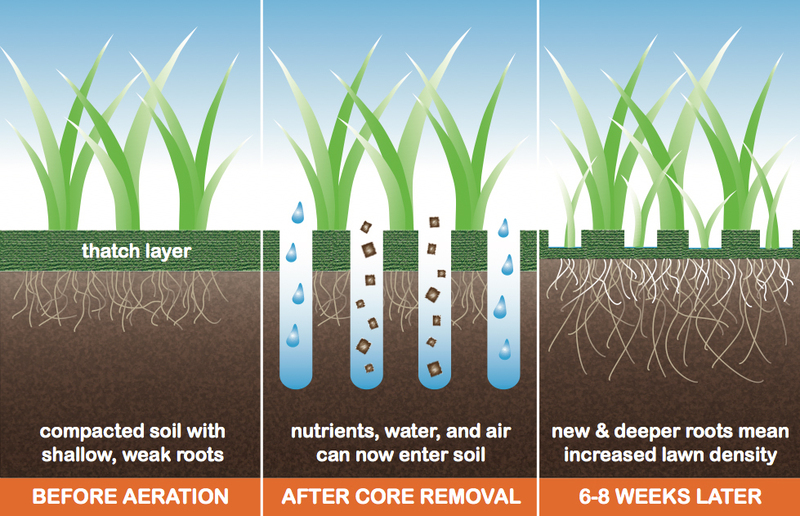 Core aeration can help make your lawn healthier and reduce its maintenance requirements through these means: Improved air exchange between the soil and atmosphere. Enhanced soil water uptake. Improved fertilizer uptake and use. Professionally licensed Lawn fertilizing and weed control. 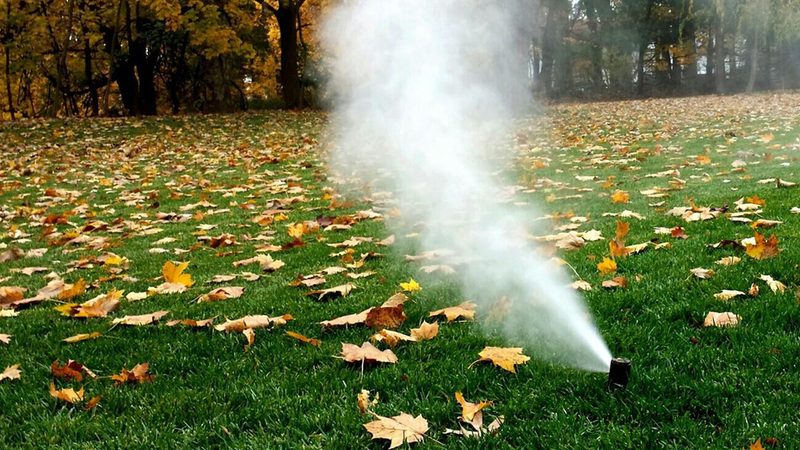 We offer a wide selection of lawn treatment programs. Contact us for more info. Seasonal packages start at just $45 per application. Shrub and tree trimming. We offer full service shrub and tree trimming at a competitive price. Pruning trees and shrubs is necessary to ensure they maintain their health and vigor. Trees and shrubs should be inspected annually to determine if they need to be pruned. Mature trees typically do not need to be pruned as frequently as young trees, which need pruning to establish branch structure. Trees and shrubs that go years without pruning can become overgrown and weak. In addition to promoting tree and shrub health, pruning pays a host of other dividends. Contact us for your free estimate. Fall clean up. Very competitive prices on fall leaf and clean green removal.Contact us for your free estimate. We offer professional commercial and residential snow removal services. Residential service starts at $25. We also offer “HeatWave” commercial liquid Ice Melt applications. Hauling services. 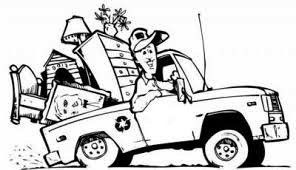 We will haul most anything, contact us today for your free competitive bid.